“If a poem hasn’t ripped apart your soul; you haven’t experienced poetry.” -Edgar Allan Poe. Hey everyone! Kedu? Bawoni? How far? My middle name might as well be PROCASTINATOR!!! Everytime I pick up my phone or laptop to write this particular post, I end up doing a million other things. Let me just go straight to the point. I mean, I’ve wasted enough time already. One would think I’m in the spirit. Take it from me; POETRY IS SPIRITUAL! I’ve always been a lover of literature. But the secondary school literature didn’t really resonate anything within me. If anything, I learned them dutifully just so I could make an A in WAEC but I ended up with a B. LOL! They had complicated grammatical structures and it was a daunting task looking for imageries, metaphors, smileys and all manner of figures of speech. I loved it but I still didn’t appreciate it and so I couldn’t write poetry. I told my self, I could not write poetry. Early this year my perspective on what an actual poem should be changed. And I saw things differently when I stumbled upon RUPI KAUR, IJEOMA UMEBINYUO, TITILOPE SONUGA, LANG LEAV, NAYYIRAH WAHEED, YRSA DALEY-WARD, WANAWANA UDOBONG, UPILE CHISALA, SARAH KAY etttttccc. And then I found SPOKEN WORD POETRY. AND THAT WAS THE HEIGHT!!! (Joshua Bennett’s Spoken word is life, blood and water)!! Argue with yourself! These women have ripped my soul apart with their words. I bleed just reading their poems and then I write. That’s the scary thing. I WRITE POETRY. Their poetry is different from what I’ve always thought poems to be. I challenged myself and I must confess, I can’t remember the last time I was that dedicated. I saw my self putting down words and writing things I never would have written. It was one of the best eight days of my life. From tomorrow, I’ll be posting my poems and I’ll give you guys the prompts. You might challenge yourselves to some of them. And I’ll put up the pictures of some of my favorite poems from dear titi’s workshop. I’m so proud of these young women that are coming up. I’m so proud of this generation. They have changed my life. When the workshop began, I had no idea a lot of people would be interested. Oh boy! I was wrong. People can write. 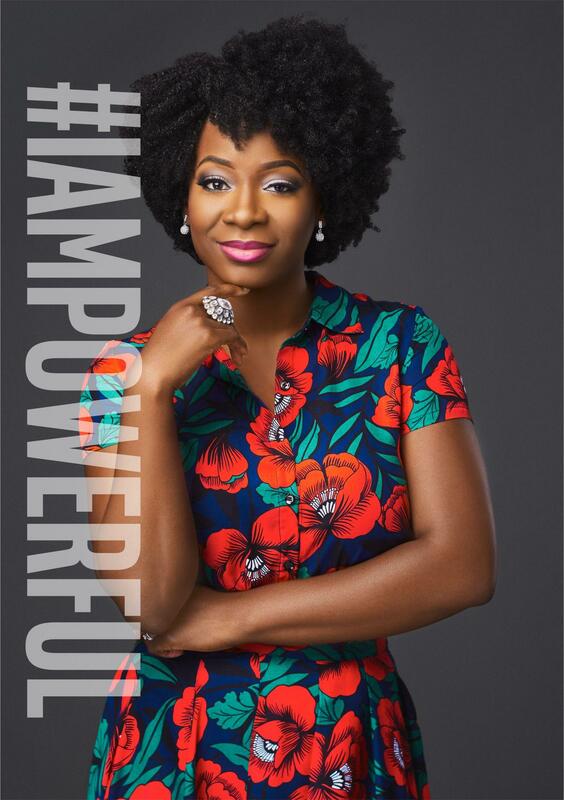 The talent we have in Nigeria…toooooooo beautiful! I’m so proud of myself and the woman that I am becoming. So my people! I’ll be posting the poems from tomorrow and the prompts. Ans It’s so funny because the workshop was a kind of shrinking workshop. It got emotional. Seriously!!! I encourage you to work with the prompts and write poetry. 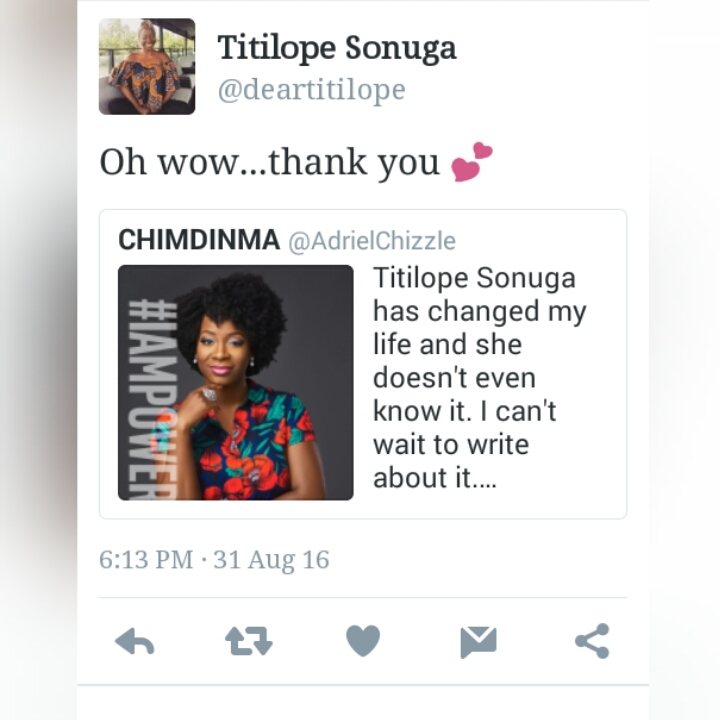 Titilope is indeed an amazing lady. I was unable to join in the workshop but then I loveeee most of those she reposted. Lawwd! Some poems are just so deep and mind blowing. Awww…. You can actually try some of them when you’re less busy. Like I said I’ll posting them from today. This evening. And yes, deep doesn’t even do justice to what some people wrote. It’s good to know people take this things personal. It’s beautiful. I totally agree with you. I watched Titilope perform her spoken word and it was life changing and I just read Milk and Honey by Rupi Kaur and it was the most amazing experience ever! I relate to this 100% all I seem to do now is write poetry.